A thrilling Alpine adventure starring a magnificent, bleary-eyed Richard Burton and a coolly anachronistic Clint Eastwood, Where Eagles Dare is the apex of 1960s war movies, by turns enjoyable and preposterous. 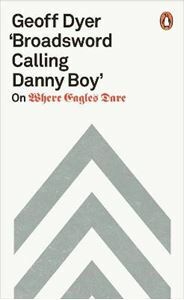 'Broadsword Calling Danny Boy' is Geoff Dyer's tribute to the film he has loved since childhood: an analysis taking us from its snowy, Teutonic opening credits to its vertigo-inducing climax. For those who have not even seen Where Eagles Dare, this book is a comic tour-de-force of criticism. But for the film's legions of fans, whose hearts will always belong to Ron Goodwin's theme tune, it will be the fulfilment of a dream.